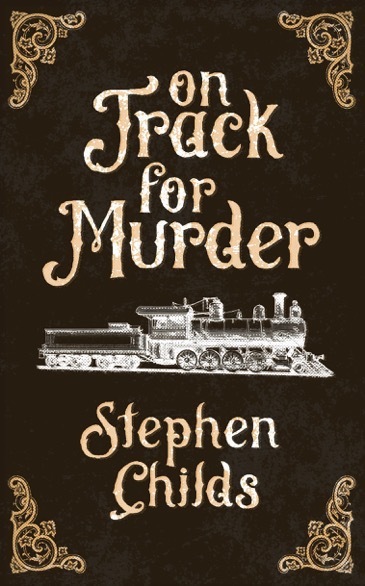 On Track for Murder is the new novel by Stephen Childs. Travelling from England to Australia in the late nineteenth-century, Abigail Sergeant and her rather introverted younger brother hope reuniting with their father will offer them security. However, what awaits on the shores of the Swan River dashes any hope of a blissful life. A murderer is caught red handed. Abigail’s family is thrown into turmoil. Police are satisfied they have their killer, but Abigail is convinced they are wrong. As their potential witness is missing, Abigail persuades the detective to allow time for a search. But that time is limited. Chasing across Western Australia with a reluctant Constable Dunning as chaperone, Abigail is determined to uncover the truth. If only she had an inkling of what that may be. Through deception, kidnap, sabotage and arson, Abigail finds a resolve that she didn’t know existed. Her knowledge of machinery surprises everyone, as does her tenacity. She turns out to be a capable young woman. But is that enough? On Track for Murder – Available now in print or e-book versions.